Ian Lipke is an Australian author who resides in Brisbane, Queensland. He has been teaching in schools and universities since 1959 and has co-written 2 textbooks. 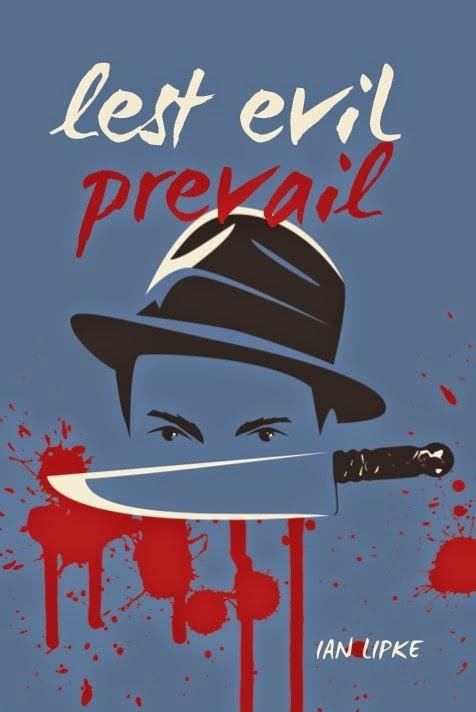 His fiction novel Lest Evil Prevail shows the high academic level and professionalism of Ian Lipke as an author. When reading Lest Evil Prevail all that kept going through my head was Wow! Wow! Wow! With each page I turned I continued to be blown away by the next event. I was kept on the edge of my seat the whole way, although I will admit that it took me a chapter or two to get into it. Lest Evil Prevail has everything you want in a good book - politics, crime, love and communist agents with intent to assassinate. My only caution with this book would be that of the enticement to read the book by the back blurb. For me picking this book up and reading the back blurb gave me the impression that I may be in for a dry read. It did not do much for me at all. If you have, or do, pick this book up and base your decision to not read it on the blurb alone then think again. Give it a go as I am sure you will find it hard to put down. Lest Evil Prevail is set in the 1950’s. It is a piece of fiction based loosely around Prime Minister Robert Menzies who, thinking he is in firm control of the country, is unaware of the treachery going on. There is the stolen document that threatens to destroy the life of June Wilson, with Detective Chris Foster appointed to protect her. They flee for their lives to a small town in Queensland where a series of violent murders soon happen, rocking the town. No one is safe. Communist agents soon descend on the town intent to assassinate. This is a fast paced book that left me reeling. After reading Lest Evil Prevail it took me sometime before I could pick up another book. I needed time for my mind to come down from the whirl wind of a journey I had travelled. Lest Evil Prevail by Ian Lipke is up there on the top of my list of one of the best self published novels I have read in 2014. Highly recommended!